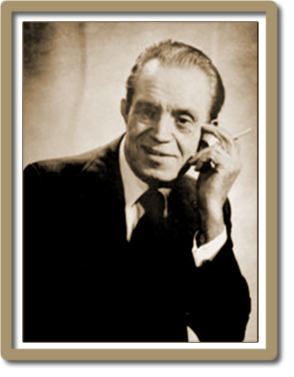 Tony Slydini (September 1, 1901, Foggia, Italy – January 15, 1991), simply known as Slydini, was a world-renowned magician. His mastery, expertise, originality and innovative approach to close-up artistry, magic earned him a legendary reputation in the magic world. He traveled the world performing for the public as well as performing and lecturing fellow magicians. 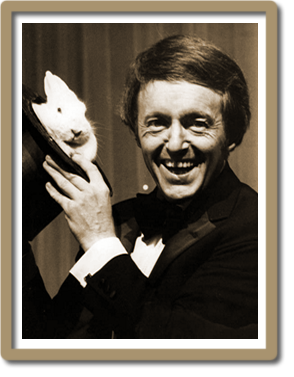 Newton Edward “Paul” Daniels (6 April 1938 – 17 March 2016) was an English magician who achieved international fame through his television series The Paul Daniels Magic Show, which ran on the BBC from 1979 to 1994. He was known for his catchphrase of “You’ll like this … not a lot, but you’ll like it” and also for his marriage to his assistant, Debbie McGee. 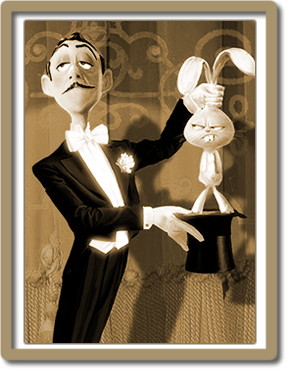 He was awarded the “Magician of the Year’” Award by the Academy of Magical Arts in 1982, the first magician from outside the United States to receive it. He also won the Golden Rose of Montreux in 1985. He has been widely described as “The Godfather of Modern Magic” and was repeatedly credited with inspiring many top professional magicians to start in the profession. 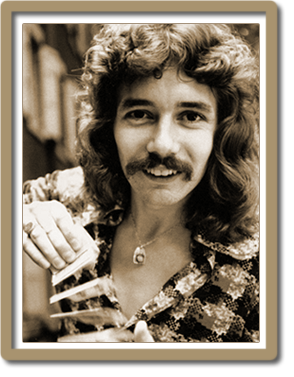 Doug Henning, the ebullient, shaggy-headed magician who sparked a renewed interest in the craft and breathed new life into some of history’s most famous illusions. With a curly mane of hair and a near-constant grin, Mr. Henning was one of the most famous illusionists in the world during the 1970’s and early 80’s, appearing in three Broadway shows and a dozen television specials. In each case, he stunned audiences with a seemingly impossible array of disappearing assistants and levitating ladies. Doves became rabbits in Mr. Henning’s hands, and horses took wing. One of his most impressive acts was ”Metamorphosis,” an illusion borrowed from Harry Houdini, his idol. The Amazing Kreskin or Kreskin — (George Joseph Kresge) was born January 12, 1935 and is a mentalist who became popular in the 1970s. He was inspired to become a mentalist by Lee Falk’s famous comic strip Mandrake the Magician,which features a crime-fighting stage magician. He has always presented himself as an “entertainer,” never as a psychic, who operates on the basis of suggestion, not the paranormal or supernatural. 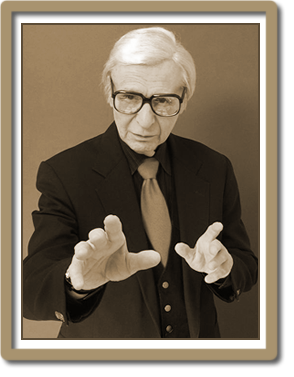 For over four decades, The Amazing Kreskin has dramatized the unusual power of the human mind with a rare combination of wit and showmanship. His very name has become an integral part of pop culture invoked in comedy clubs, comic strips, print stories and TV shows from sitcoms to national magazines. Kreskin, who has performed for the likes of royalty and presidential families, has also made well over 500 television appearences in addition to those as host of his own highly rated series and specials. 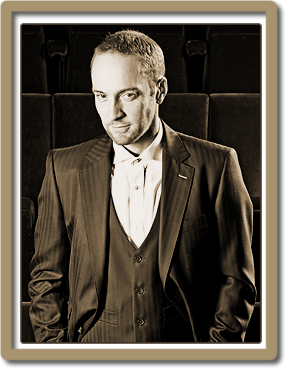 Derren Brown (born 27 February 1971) is an English mentalist and illusionist. He began his UK television career in December 2000 with a series of specials called Mind Control. Since redefining the genre of magic for intelligent, modern audiences, he has become synonymous with the art of psychological manipulation. His TV shows have become must-see events. Amongst a varied and notorious career, Derren has played Russian Roulette on live television, convinced middle-managers to commit an armed robbery in the street, led the nation in a seance, stuck viewers to their sofas, successfully predicted the National Lottery, motivated a shy man to land a packed passenger plane at 30,000 feet, exposed psychic and faith-healing charlatans, and hypnotised a man to assassinate Stephen Fry. On top of this he tours the UK every year with a sell-out stage show. Vaudeville era magician Presto DiGiotagione is famous for a hat trick wherein he pulls his rabbit Alec Azam out of his top hat.